Aetna’s plan to buy insurer Coventry will add 5 million customers to its rolls. Aetna announced Monday plans to acquire Bethesda-based Coventry Health Care in a deal valued at $5.7 billion, part of the managed-care giant’s effort to beef up its Medicare and Medicaid programs. The purchase comes as insurance companies race to position themselves for a broad expansion of health-care coverage slated to take effect in 2014, following the Supreme Court’s decision to uphold the comprehensive reforms supported by the Obama administration (Bhattarai, 8/20). As it turns out, Aetna’s shareholders appear to fully support the insurer’s plan to take part in the consolidation sweeping its industry. 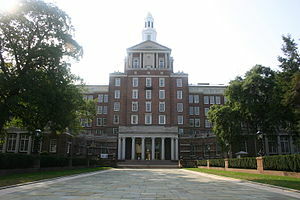 Shares of Aetna jumped as much as 5 percent on Monday after the company announced its $5.7 billion planned takeover of Coventry Health Care, and in late morning trading they were still up 4 percent, at $39.56 (de la Merced, 8/20). The transaction also will lift Hartford-based Aetna’s commercial membership. Coventry — which has struggled recently with high costs in Kentucky’s Medicaid market — has more than five million members overall, including people who get health coverage through their employers, through the Medicare program for the elderly and through the Medicaid plan for the poor (Kamp, 8/20). Health insurance giant Aetna Inc., trying to capitalize on growing enrollment in Medicare and Medicaid, has agreed to acquire Coventry Health Care Inc. for about $5.7 billion in cash and stock. The Hartford, Conn., company and nation’s third-largest health insurer said the Coventry deal will allow it to add more than 5 million new members, many of them in faster-growing Medicare Advantage and Medicaid managed-care plans (Terhune, 8/20). It’s time to talk about another giant health care deal. Insurers buying insurers, to be specific. In July, WellPoint snapped up Amerigroup for $5 billion. And today, Aetna announced its swallowing rival Coventry Health Care for $5.7 billion (Gorenstein, 8/20).